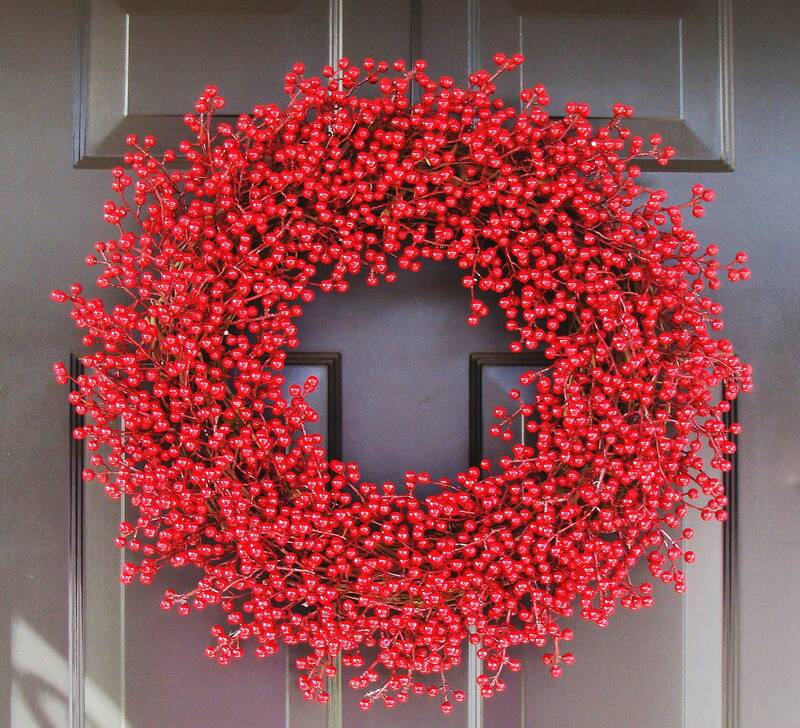 ***A 28 inch red berry wreath will be featured in the Dec 2013 issue of Better Homes and Gardens Magazine. 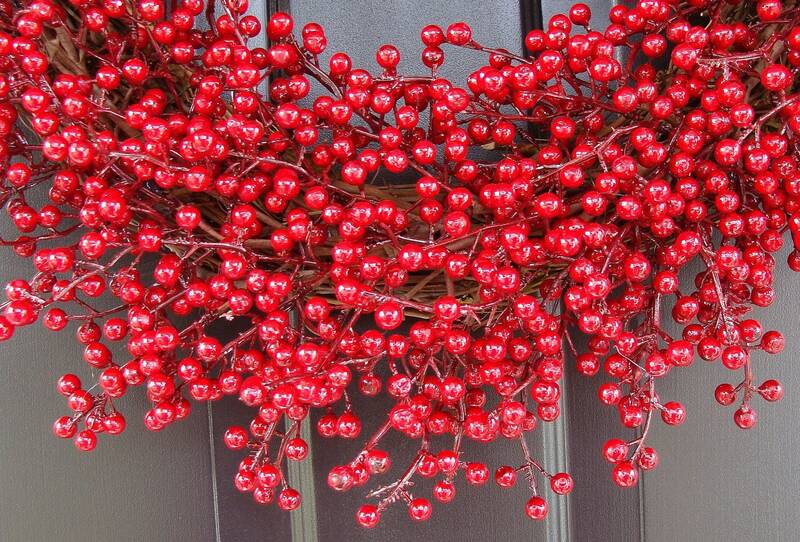 Yes, unlike other berry wreaths these faux berries weather well against rain and cold conditions! 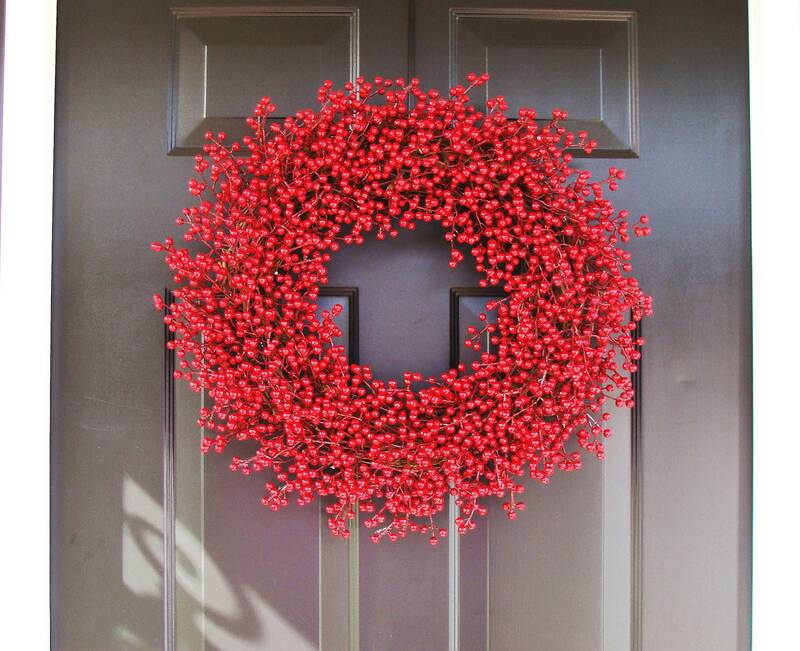 This Christmas wreath is loaded with over a thousand miniature artificial red berries. 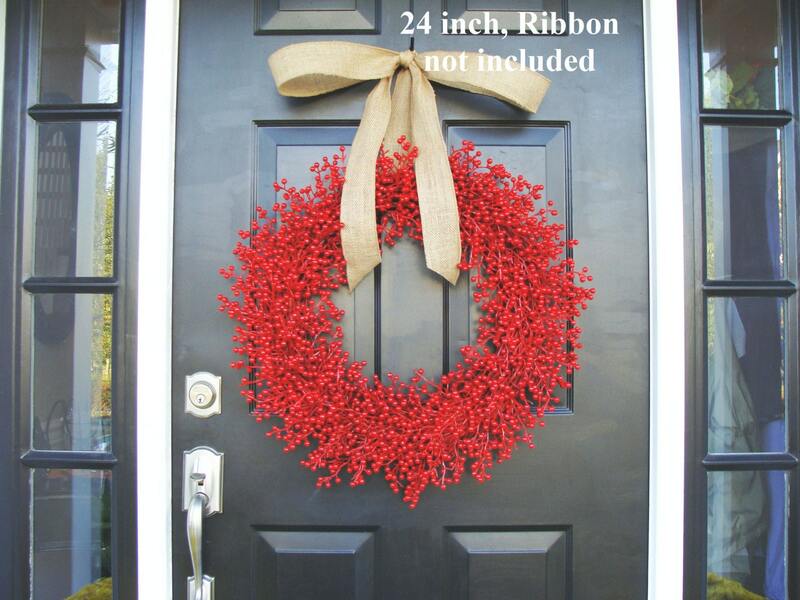 This large wreath measures 20 inches and 5-6 inches thick. This wreath is not recommended for use direct full sunlight however it will be fine in rain, cold temperatures, and other elements. I have personally tested it. Please measure your space to determine which diameter is the best size. See my shop (www.elegantwreath.etsy.com) for many other beautiful, quality, handmade wreaths! Any wreath will make a great gift for a loved one or friend so you can always get two and save on shipping or have your gift shipped directly. Custom wreaths are always available so just convo me for options. Wreaths are always shipped via fast, insured UPS service. I love my customers and always strive to provide a quality wreath for a great price! Absolutely beautiful and well made. The wreath is worth spending more on to get the quality compared to cheaper more readily available wreaths. I can wait to order another! 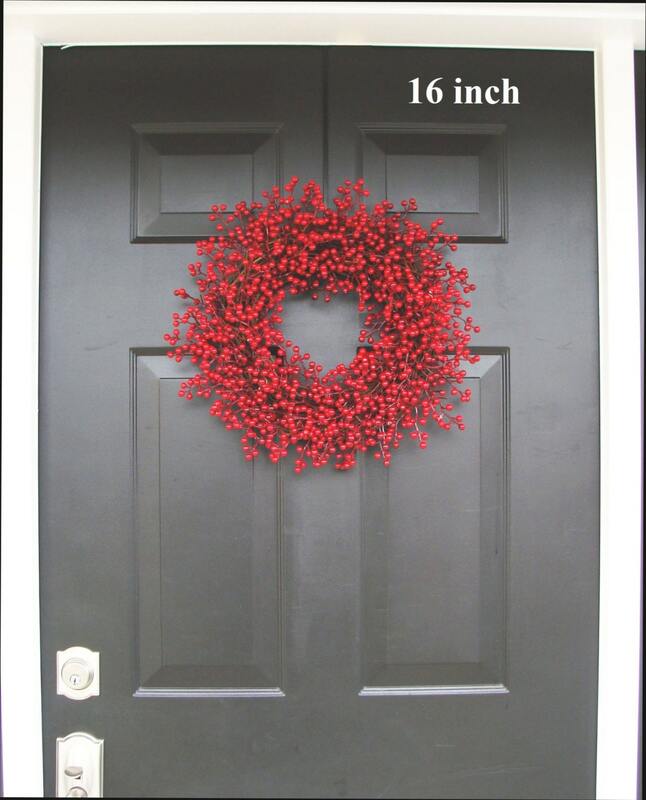 Ordered this 18' wreath for $76.50--did not get a notice, so I thought the order didn't go through............ordered the same wreath again, this time it was $81...................cannot get an answer from seller (or Etsy) as to difference. Of course, I was refunded the lower amount. DO NOT PLAN TO ORDER FROM ETSY AGAIN! Bright red color and excellent craftsmanship. Looks absolutely gorgeous hanging on my front door. Thank you!